Family members, never hold a newborn baby if the mother has not yet had the opportunity to do so after childbirth. 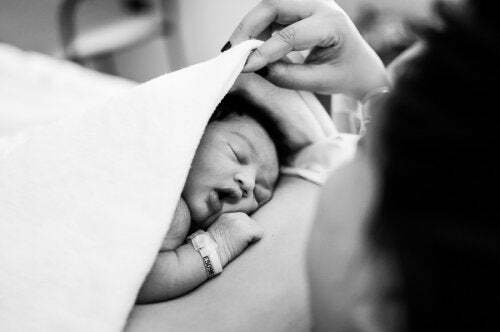 Hospital protocols need to take care of allowing that first crucial contact between mother and child after birth, because the first hour of life is sacred for both of them. It is as striking as it is worrisome that the World Health Organization (WHO) itself drafted a 16-point protocol to promote a more humanized delivery process. Today, in many health centers, giving birth follows such standardized guidelines that many mothers remember the act of giving birth as something rather traumatic. This is not good, and neither is the fact that some newborns are held by relatives before the mother, who has not yet had the opportunity to see and feel her own child. Today, we want to talk about this fact, which has a great importance for the emotional world of its two protagonists: mothers and children. When a couple goes to the hospital to give birth, they never know what will happen in the next few hours. 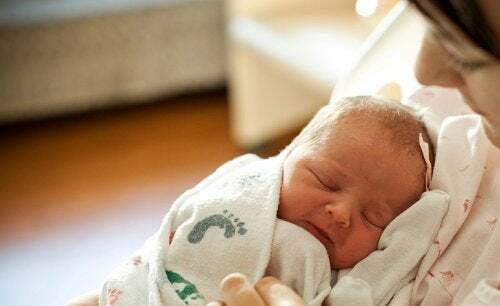 It is possible that they’ll have to face a cesarean, or for the mother to end up sedated without having the opportunity to meet her newborn child until a few hours later. Our parents, brothers, uncles or friends want the best for us and want to celebrate that moment with joy and emotion. 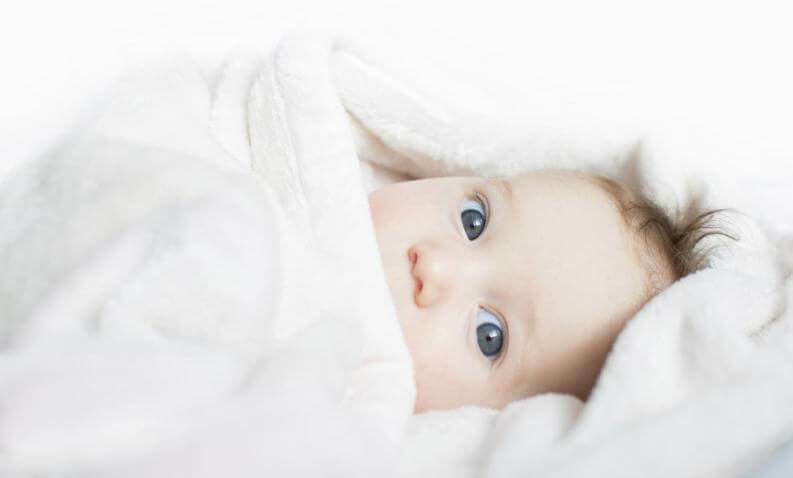 Of course, many of them cannot avoid taking the newborn baby from the crib and passing him or her from arm to arm to welcome him and discover what he looks like. Dear family: don’t do this. Few moments require as much intimacy as the moment in which a woman has just given birth and must make contact with her child, with that beloved tenant who was part of her for nine months. Many specialists speak of “an affective imprint” that occurs after childbirth. Within about one or two hours after birth, it is necessary for the mother and child to establish contact. Nils Bergman, a specialist in perinatal neuroscience, explains that the first 1,000 minutes of a child’s life can be key to his later development. We cannot forget that birth can be “traumatic” for the baby, as he is moved from a warm and protected environment to a strange world where, suddenly, someone handles him, cuts the umbilical cord, washes him and puts labels on in. All those stimuli are annoying for the baby. Amniotic fluid is no longer around to cushion each touch and movement. Suddenly, strange enemies arrive in his mind: stress, fear and panic. All these stimuli could be avoided in a simple way: taking the newborn to his mother. There is no hurry to cut the umbilical cord, nor to wash him. The most important thing is that he finds calm in his mother’s warm skin and pleasant smell, which are now part of his life. That peaceful imprint generates adequate changes in his brain. There is no stress or fear. For her part, the mother will also start breastfeeding with the release of oxytocin. Everything is calm and balanced. A wonderful first contact lays the foundations of the mother-child bond. We have to put ourselves in the baby’s shoes. If you have not yet met your mother, going from arm to arm will make you feel overstimulated and lost. There are too many different smells, too many strange sensations and sounds, and too many diffuse shadows over him. We must be very aware of one essential aspect: the only two things a baby needs when he is born is his mother and the food that she provides. Nothing else. Above all, we must celebrate that both the mother and the child are well. Next, we must be wise and understand one thing: there will be plenty of time to meet, love, embrace and touch the baby that is now part of our family or personal circle. Respect the intimacy of the mother and baby, as well as the couple. You don’t need to touch the newborn baby. There will be time. However, and above all, never hold him before the mother. If you are going to touch the baby, remember that you have to have clean hands. If possible, do not kiss him (there will be plenty of time!). Do not let many relatives into the room. What the mother and child need is peace.